Christian Borle isn't the only one doing double duty this Broadway season! Les Liaisons Dangereuses' Mary Beth Peil has been tapped for Anastasia. 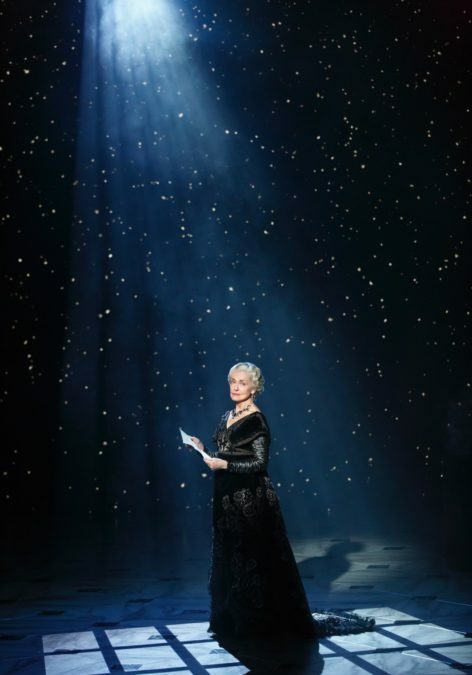 She returns to the role she originated in the world premiere production at Hartford Stage: Dowager Empress Maria Feodorovna. Tickets are now on sale for the production, which will also star the previously announced Christy Altomare, Derek Klena and Ramin Karimloo. The musical is set to begin performances on March 23, 2017 at the Broadhurst Theatre and will officially open on April 24. Peil will play Anastasia's paternal grandmother and Empress of Russia. She last appeared on Broadway in Kander and Ebb’s The Visit. She earned a Tony Award nomination for her Broadway debut in The King and I opposite Yul Brynner. She is also well-known for her performance as Jackie Florrick on the CBS drama The Good Wife. Directed by Tony winner Darko Tresnjak, the production reunites the Tony-winning creative team behind Ragtime: book writer Terrence McNally, composer Stephen Flaherty and lyricist Lynn Ahrens. From the twilight of the Russian Empire to the euphoria of Paris in the 1920s, the new musical is the romantic, adventure-filled story of a brave young woman attempting to discover the mystery of her past. The tuner features songs from the Twentieth Century Fox animated film, including Ahrens and Flaherty’s Oscar-nominated “Journey to the Past,” as well as new additions to the score.